Thomas Edison is known to many as the heroic American inventor who created the light bulb. But what isn't covered so well in grade school is Edison's propaganda battle with inventor Nikola Tesla over what type of electricity would eventually power our homes and offices - direct or alternating current. 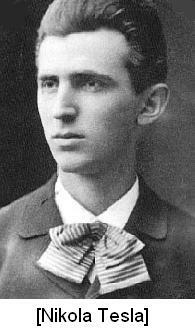 Telsa was an inventor of Serbian heritage born in Croatia. After studying electrical engineering, he went to the United States to work for Edison's company. 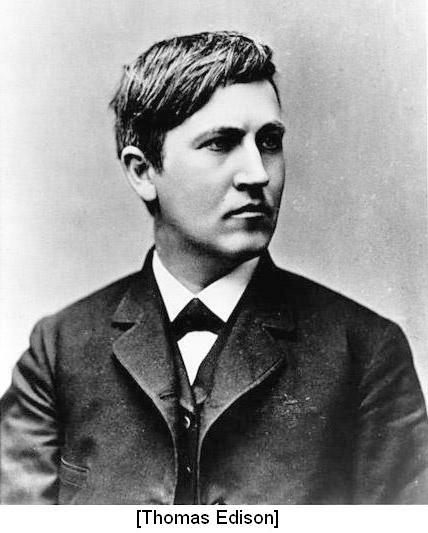 Edison hired Tesla to work on his direct current (DC) power system, then the standard electrical system in the U.S., offering him a bonus if he was able to improve the generator. While Tesla did improve Edison's DC generator, he also tried to convince Edison to ditch it in favor of his own invention: An alternating current (AC) power generator. Alternating current, Tesla knew, was more efficient than DC current, able to be transferred over large distances when DC power could only go a few miles. Edison didn't want to switch his electrical systems to AC power for two reasons: First, it would be costly to switch over and second, because it would be a blow to Edison's pride. Adding insult to injury, Edison refused to give Tesla the bonus he had promised for improving the DC power system. In response, Tesla quit and dedicated his time to improving his own AC system. With the direct current design, power always flows in the same direction between two terminals, one positive and one negative. It's the kind of power found on batteries and solar cells. With alternating current, however, the direction of the current's flow alternates 60 times a second (50 times a second in Europe) making it easier for its voltage to be controlled. Controlling the voltage makes it more manageable when being sent over long distances. George Westinghouse, Jr., a rival of Edison's, hired Tesla to work for him and the "War of the Currents" between the two inventors was on. In order to discredit Tesla, Edison demonstrated the alleged dangers of AC power in public, electrocuting animals for people to see. He even tried to create a new term, saying that the animals were "getting Westinghoused" instead of being electrocuted. Despite Edison's best efforts, Telsa's more efficient alternating current won the war and it continues to power our lives today. Additionally, Edison's direct current is now considered to be more dangerous than alternating current since it allows electricity to be stored even after the power has been turned off. And if you're worried about poor Topsy, don't worry too much. She was a killer elephant who, unfortunately, had to go anyway. I have read a lot about the conflict between Edison and Tesla and was amazed that Edison went to such lengths to try and discredit Tesla and his AC electric system. Thanks for the post. Van Der Waals Wildcats Away! Oh Hubble, Where Art Thou? Show us your Möbius strip!